When quality loses its ability to justify price, the power of brand exclusivity takes its place. Sure, the quality of a $30 T-shirt is probably much better than the quality of a $3 T-shirt. And how about a 300-dollar one? It can’t be that much better, right? At this point, you are no longer buying a product, you are buying a brand. When it comes to buying exclusive items or brands, you will be surprised (or not) to find out how much money people are willing to spend to obtain them. And what does a smart company do when there are customers ready to pay an obscene amount of money on something exclusive? That’s right – they create exclusive products just for them! Today, I will tell you about a unique collection of purses created by the French brand Hermès, and we will analyze the concept of value perception successfully used by many companies. Hermès is a French high-fashion luxury goods company established in 1837. True to its traditional business model that rejects mass production, the brand is famous for its high-quality manufacturing performed by hand in specialized French workshops. The company produces a variety of luxury goods categorized in 14 product divisions that include watches, fragrances, jewellery and ties. But today, we will focus on their famous purses, and no, not the ordinary ones (which, by the way, rarely drop below $5000) – the exclusive ones that drive celebrities absolutely insane. The story of the famous Birkin bag can be tracked down to an iconic encounter back in 1983, when reportedly the chief executive of the company, Jean-Louis Dumas, was seated next to the actress Jane Birkin on a flight from Paris to London. As she was trying to fit her travelling bag in the overhead department of the plane, it fell down, spilling its whole content around the seats. 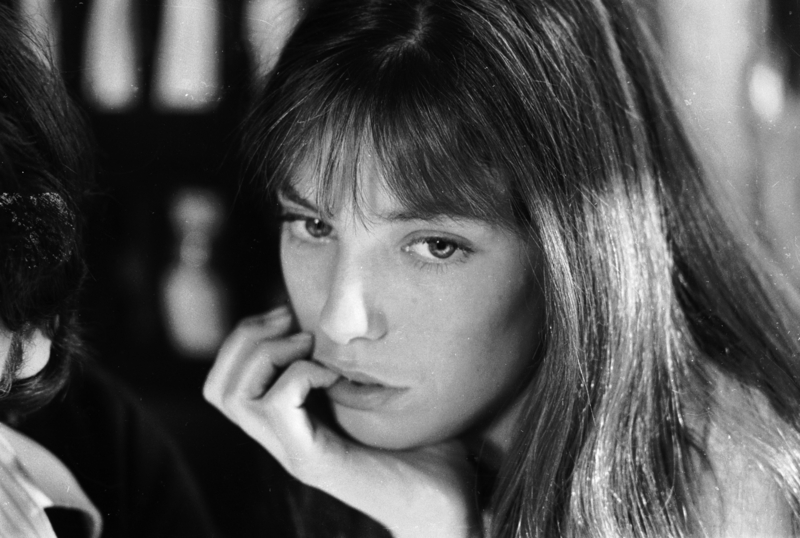 Later on, Jane Birkin complained to Dumas that she was unable to find a comfortable leather bag she liked, and it served him as an inspiration to design one especially for her. Nowadays, the Birkin bag is a symbol of wealth, and is highly appreciated by many celebrities. What makes this bag so desired? As we already mentioned, the most obvious reason for representing a wealth status is the price (but definitely not the only one). While a regular Hermès purse can cost you around $6,000, the simplest Birkin bag starts from $11,900! These costs depend on the type of leather and whether there were any exotic skins used in the process. 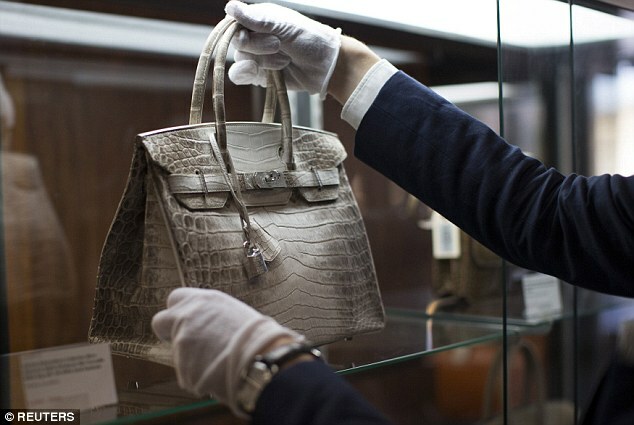 The most expensive Birkin ever sold was a rare Himalaya crocodile diamond bag, handmade from the skin of an albino crocodile with more than 240 diamonds on it. It was sold on an auction for $379, 261! Even if you have the money, you can’t just go to the shop and buy a Birkin bag. You need to have a history with the brand before that, so if you have never purchased any bag or another luxury item from Hermès, don’t even bother asking them for a Birkin. In many cases, you will have to wait to be offered the honour of buying this purse by the company itself. In fact, for a long time, the bag was rumored to have a waiting list of up to 6 years! Would you wait 6 years for a bag? I would have personally forgotten that I even purchased it in the first place! Additionally, the bags are distributed to the boutiques of the brand in limited quantities and on unpredictable schedules, making them even rarer to the public. 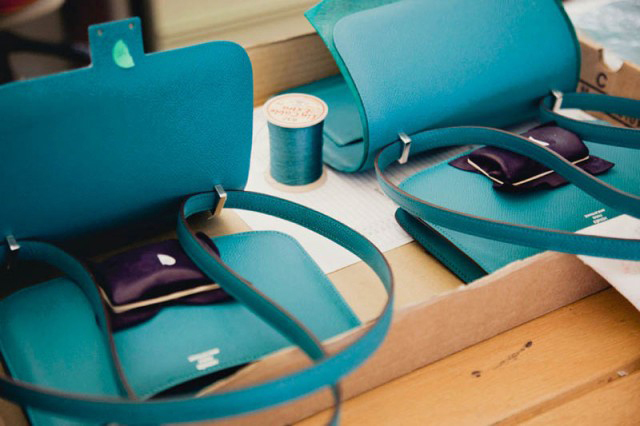 The bags are handmade in France and each one of them has the company’s signature saddled stitching as a symbol for exclusivity. According to the purseblog.com, all brand’s purses and handbags, including the Birkin, are handmade by one artisan in a process that takes 48 hours. Despite the pressure for mass production and automatization, Hermès is still using its traditional production processes, which gives additional value to customers. Okay, so far, so good! But from a Marketing and Business perspective, what conclusions can we draw from Hermès and the Birkin bag? Let’s be honest – regarding design, the Birkins are not the most jaw-dropping bags that you can find out there. Of course, it depends on the style of each person, but generally speaking, they have a pretty simple and even boring design. So what exactly makes them so special? Price – that makes the Birkin a status of wealth for people. Fun fact: Hermès Birkin bag is considered a solid investment tool, having increased in value by 500% over the 35 past years. According to Baghunter, an annual return on one of these goods is 14.2%, exceeding even gold on the scale. It is a concept that creates additional perceived value for customers. When a product has the reputation of being unique, people are willing to spend more money in order to be only one of the few who have it. Obviously, possessing a mass-produced item doesn’t give the same experience as a luxury good that only the ”chosen ones” have. So if you are selling high-quality products and want to differentiate yourself, you might consider designing an exclusive collection or a single product for your loyal customers. Or you could use the scarcity principle on your existing products by adding unique elements that make them rare and exclusive. Remember, you can set any price on a product or a service as long as it is justified. Producing a regular bag or a pair of jeans and adding a 1000$ tag to it without the right branding will not make people flock to you. Brand reputation is not something that you earn overnight, and unless you are using extremely rare quality materials that no one else does, you will need to establish your company as an authority brand to justify prices. Hermès justified their prices with a combination of factors such as history, reputation, exclusivity, exotic and rare materials; so you will need to work on building your brand the right way in order to justify your prices. Not all companies that put high prices on their products are successful. If you are interested in more Marketing lessons, make sure to check my latest post on Starbucks!